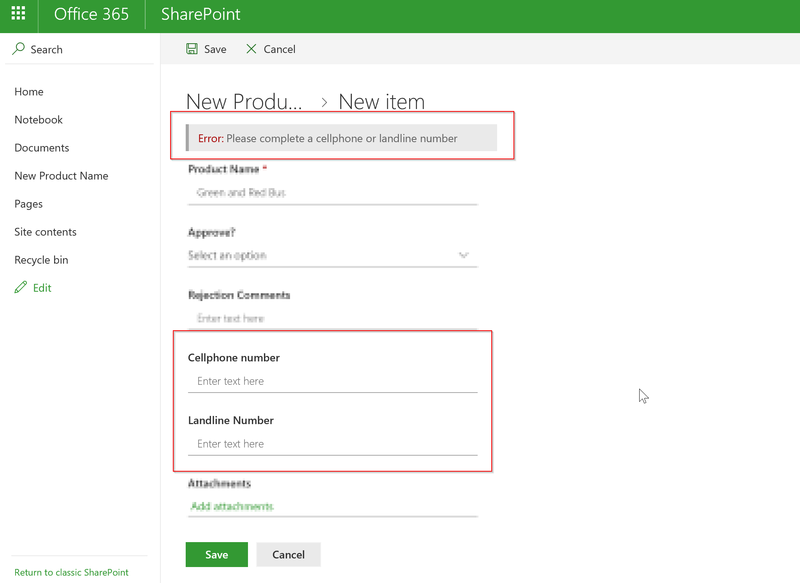 #Office365Challenge It’s not always possible to mark fields as compulsory, should you want a user to complete one of two columns – it becomes more tricky. See formula below to help you achieve this. 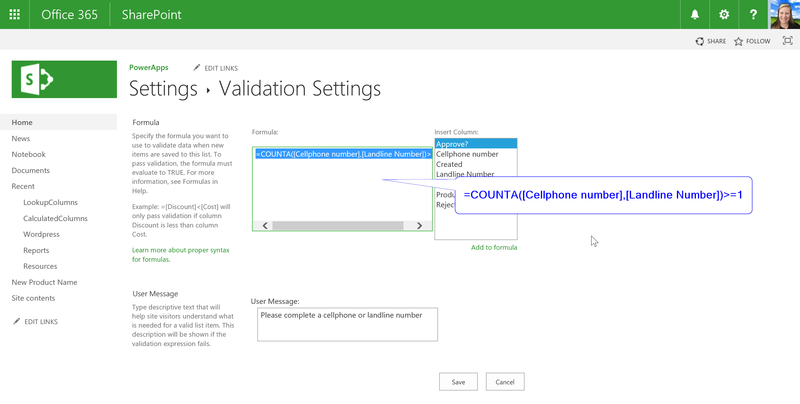 In my example I have a Cell phone number and a Landline number field. I want the user to only complete one of these fields – which means I cannot mark them as compulsory.